General information Besides regional importer of the full line of Case Construction, we are also dealer of Steelwrist (pan / tilt pieces) Holms (sweeping brooms and snow-clearing equipment), Robi (screening and crushing buckets, sorting grapples, hammers, etc.) and for the GPS machine control, we can provide Leica Geosystems. With our new, fully computerized, spare-parts department we can quickly and professionally supply all kinds of spare-parts for your machines. Especially the parts of the brands Case Construction, Newholland Construction, Fiat-Kobelco, Fiat-Hitachi and O + K (CNH Industrial brands) we can deliver very quickly. (If available within 24 hours) We also specialize in (used) parts for Volvo machines. 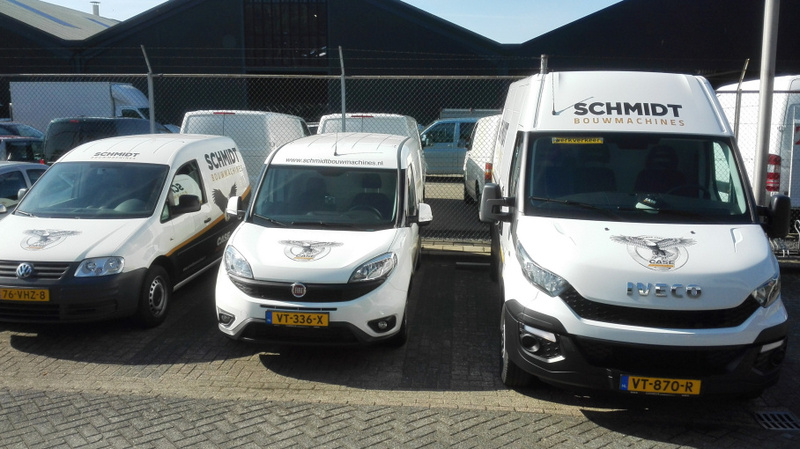 Our technical service department has a well-equipped workshop, three fully equipped service vans together with well-trained and experienced technicians. It is one of the important ways we offer our customer support. As part of the Health and Safety Act, the earthmoving equipment must meet the safety requirements of the Machinery Directive. We take care of "T.Ü.V. CERTIFIED" safety inspection on your machines. Therefore we have 5 T.Ü.V. certified inspectors. Be on time and call for an appointment! Both imports and sales are made within a small team of experienced machine vendors. Our machines are not only sold in Netherlands but also in many different countries around the world. Export is our well-known field, where we can also assist with the settlement documents and worldwide shipments, both by low-loader as per ship.